news Macquarie University yesterday revealed it had decided to ditch Google’s hosted email and calendaring platform and would migrate its staff to Microsoft’s rival Office 365 platform, in the wake of a controversial decision by Google to shift the university’s data from its previous datacentre location in Europe and move it to the United States. 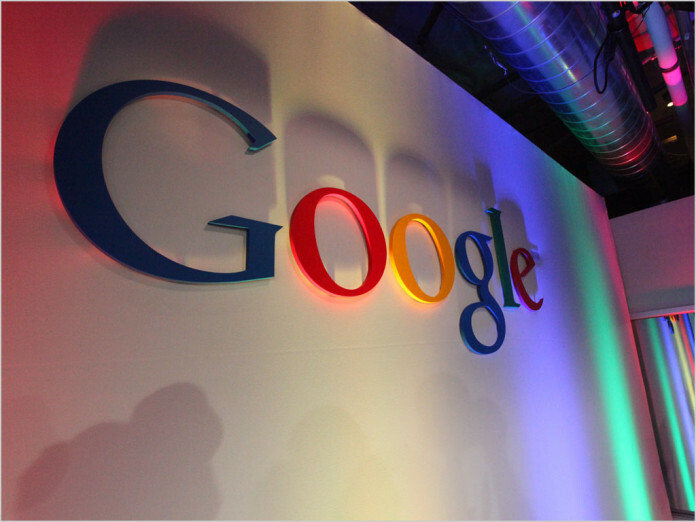 Macquarie’s initial deal with Google to adopt Gmail for its 6,000-odd staff was inked back in January 2010. At the time, it was viewed as a landmark move that would save the university millions of dollars as the university’s staff were shifted from the legacy Novell GroupWise platform. The university also offered Gmail to its students. At the time, Macquarie had had concerns regarding the storage of its data in the United States, due to legislation such as the Patriot Act, which could give US law enforcement authorities access to its data. Google agreed in 2010 to maintain the data in a European datacentre instead. However, in a notice posted on the university’s website today, its chief information officer Mary Davies revealed Google had decided to relocate the data to a United States-based datacentre. The result? Macquarie is dumping its contract with the company and shifting to Microsoft. Davies told staff they would retain their Google accounts and access to Google Apps (including Docs, Sheets, Slides and Drive), but will no longer use Google for email and calendar. A further review in 2016 would be carried out to ascertain whether the broader Apps platform — beyond Google’s Gmail and Calendar systems — were still suitable for staff and students. Student email and calendaring will remain on Gmail, Davies wrote, and students will also retain access to Google Apps to allow for continued collaboration between students and staff. The decision follows the result of a trial which Macquarie has been conducting into the use of Office 365 by staff. Over the past six months more than 90 staff have been testing the platform. While there were some issues, Davies wrote, the majority of those were as a result of the co-existence of Gmail and Office 365. Microsoft will host the university’s data in its NSW and Victoria datacentres. This would provide benefits such as addressing security and privacy concerns, Davies wrote (given that the data will be stored in Australia’s own legal jurisdiction), as well as improved data access speeds resulting from local hosting, the ability to access email globally (with the CIO noting Gmail was restricted from being used in some countries) and improved collaboration with Australian universities. Davies noted that the majority of Australian universities already used Microsoft Exchange or Office 365, and many planned to ultimately move to Office 365. Macquarie University staff will also be able to access a suite of Office 365 tools beyond email and calendaring access, including the One Drive storage platform, Skype for Business (formerly called Lync) and the normal Microsoft Office applications such as Word. The university has set up an ‘ambassador network’ of staff designed to assist colleagues with the migration. All staff will migrate to Office 365 by the end of 2015. Delimiter has contacted Google to invite the company to respond to this story. Good luck getting a comment from Google – their non-responsiveness is why we’re looking at moving to Office 365. Plus MS techs are a dime a dozen whereas it’s pretty hard to find good Google Apps partners in Australia. Google have gone down the gurgler. Their utter contempt for users becomes more apparent every day. Forcing G+ on users, subscriptions to remove ads for youtube and requiring G+ to comment on videos, constant removal of useful apps, like RSS reader etc and even with things like refusing to provide the standard menu interface in their chrome browser. Not to mention restricting things like google voice, google wallet, google domains etc to US Citizens only. Hope RMIT does the same too, Google apps is a major pain in the backside for staff, who require a more fully featured system compared to students. Having worked with both – (we’re currently hybrid on-prem/off-prem Office 365/Exchange with about 60,000 mailboxes) – I think this is a good move overall. It’s not that either is necessarily better or worse than the other, but data sovereignty is going to be a big question for a lot of organisations. If Microsoft are offering the geographies you want/need, and Google are not, it’s an easy decision. I think that the Google are in strife with attacks and self-inflicted wounds (agree @peter) with the Cloud Docs and Google Apps (let’s not mention ad-blocking technology). Nadella has built the secure space world-wide (including us! ), invested in apps that work with brand equity that created the term “Productivity Suite”! I am a long-term Google guy but I am being drawn into MS by the consumer apps as well as now at work with hopefully Office 365, Lync (which I love) and soon OneDrive … but there is so much more in the pipeline. It’s a great time to be in Higher Education and working in a Microsoft Shop. But that’s just my personal opinion. OK, this is a bit outside my experience. But an email solution is an email solution regardless of the extraneous software problems one chooses to surround it with. Why do so many Oz institutions look first and only across the Pacific when we have success stories here at home? Disclaimer: I use Fastmail, I don’t work for, represent or get rewarded by it. I’m not sure the first point is correct. If their servers are hosted in the US, that would mean that the US Government would simply go around the company and directly access the data with the relevant subpoena to either the data center or the IaaS provider. By hosting their infrastructure on US territories, they’re subject to the law of the land – in saying that, I am not a lawyer so this may be incorrect. We did read the blog, yes? Migration is never a simple process, best of luck to Macquarie in getting all their existing mail archives over to 365 by the end of 2015. Macquarie may have to start over with spam filtering, they will need to configure frontline online and adjust for their environment. Macquarie can say goodbye to third party utilities, Google Apps users have access to a rich collection. The IT will be tasked with maintaining and using two different management tools, not sure if Macquarie has a single directory sync across both environments, let’s hope they do. I hope they are prepared to be bombarded with phone calls and tech support email messages. I suppose all their staff are moving to Windows Phone at the same time.